This past week, FamilyFarms Charities took a stand against hunger! We partnered with Rise Against Hunger to organize a food packing event at the FamilyFarms Group Summer Conference in O’Fallon, IL. 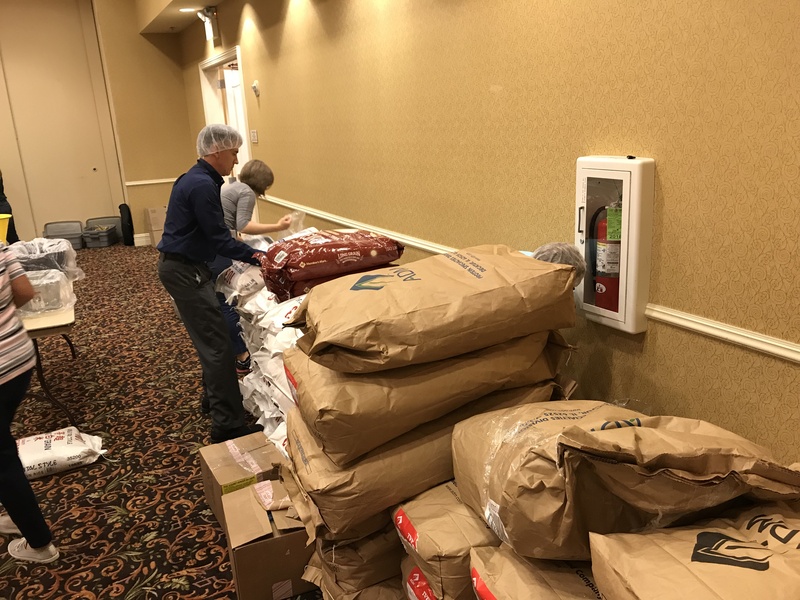 The event was an amazing success and, in just under an hour, we packaged more than 20,000 meals to be delivered to those in need of aid around the world. More than 100 FamilyFarms Charities team members helped us achieve this. With all of the supplies gathered together in stations, we quickly got to work. We scooped soy, rice, dried vegetables and a packet of vitamins and minerals into a funnel that drained into a bag, making a single meal. Before sealing the packages, each meal was weighed to make sure it had enough food. 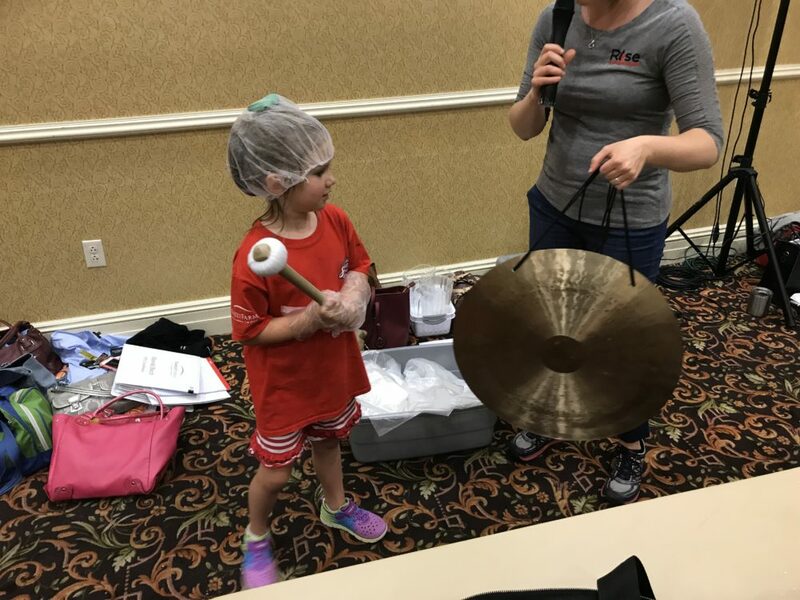 To mark our progress while packaging, a gong was struck every 1,000 meals completed. The enthusiasm only grew the closer we got to the 20th strike of the gong. None of the supplies went to waste, and we continued even after our goal of 20,000 was met. 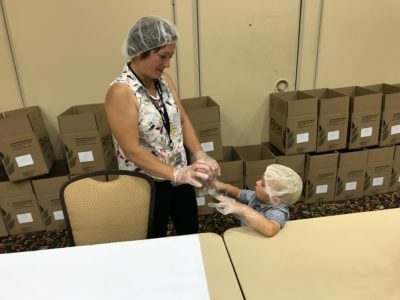 An additional 88 meals were packaged from leftover supplies. 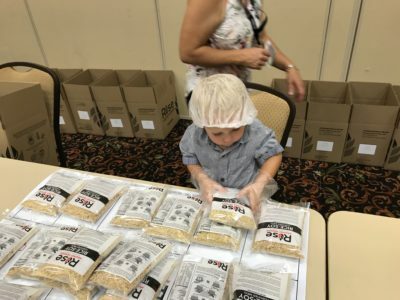 Once finished, we had made 20,088 easy-to-make and nutritional meals in under an hour! 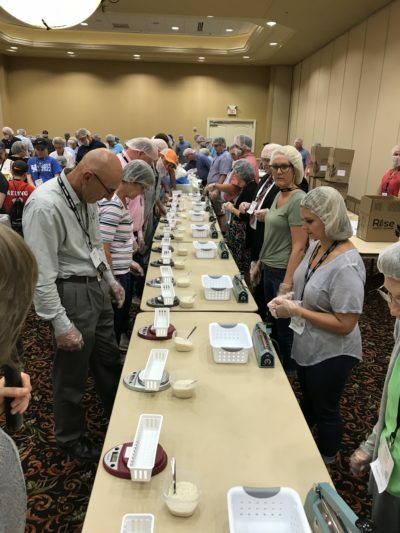 FamilyFarms Group employees from all over the country attended the conference and participated in the packaging event. 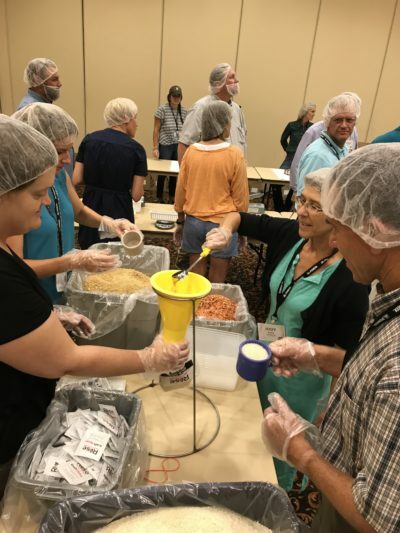 CEOs, board members, staff vendors and team members from places as far away as Arizona and South Dakota came together to help fight hunger. “The packaging event was great, it was like a family reunion,” said general counsel Michelle Mellendorf. Great things happen when people work together for a cause. We look forward to partnering with Rise Against Hunger in the future and to end world hunger! To learn more about FamilyFarms Charities, please visit our Mission Page.